Built as a parsonage for the Mt. Bright Baptist Church. "History of the Churches of Hillsborough" gives a build date of 1961 vs. 1955 per county tax office. 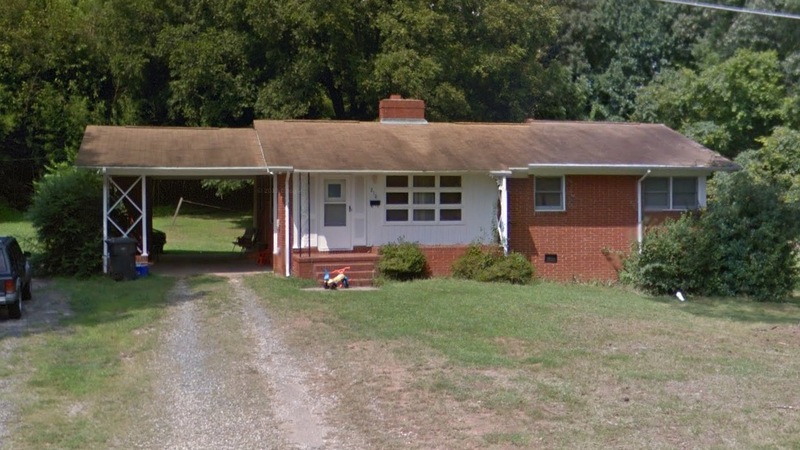 This one-story, side-gabled Ranch house is four bays wide and double-pile with a brick veneer and interior brick chimney. The house has one-over-one wood-sash windows with windows on the right (east) end of the façade wrapping around the right elevation. The left (west) two bays of the façade, a one-light-over-two- panel door and a bank of three rows of three awning windows, have vertical wood sheathing and are sheltered by an engaged, shed-roofed porch supported by a decorative metal post on the left end and a square wood post on the right end. A side-gabled carport on the left elevation is supported by square posts with diagonal braces on a brick knee wall. The brick veneer extends beyond on the right (east) elevation as a free-standing brick wall. County tax records date the building to 1955.